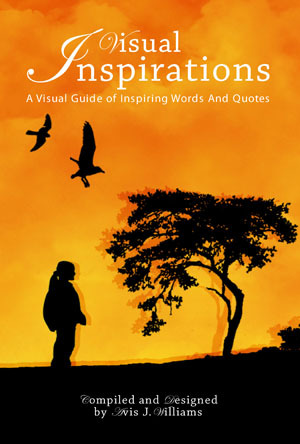 Visual Inspirations combines illustrations with inspirational words, quotes and questions to aid you in raising your awareness and thinking in a way that is positive and enlightening. Visual Inspirations combines illustrations with inspirational words, quotes and questions to aid you in raising your awareness and thinking in a way that is positive and enlightening. This book was designed, not only as a visual guide, but to be used as a practical tool, where you’re not just reading the book, you are also actively involved in the process of implementing positive changes within yourself and your life, this way the changes that you want to make will stay as long as you want it too. However you choose to use these inspirational quotes and sayings, if you take them to heart they will change your life.